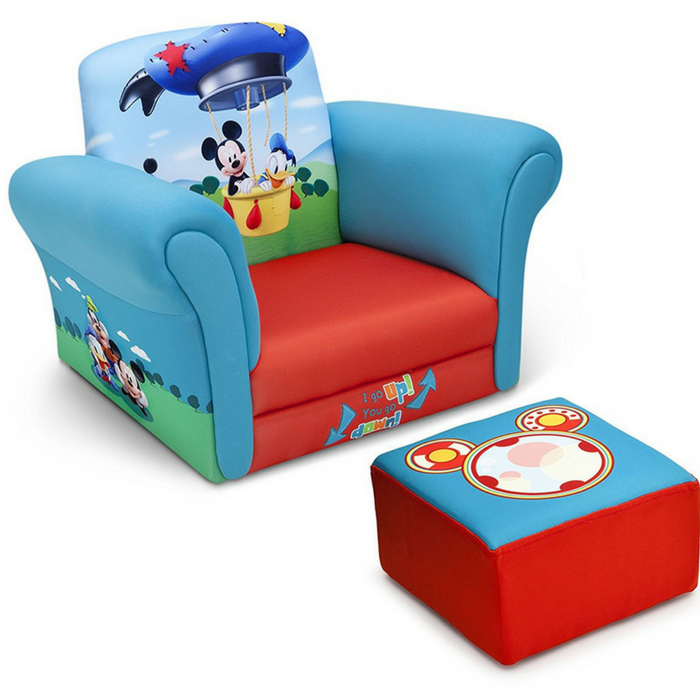 Disney Mickey Mouse Children Chair With Ottoman Just $47.99! Down From $70! PLUS FREE Shipping! You are here: Home / Great Deals / Amazon Deals / Disney Mickey Mouse Children Chair With Ottoman Just $47.99! Down From $70! PLUS FREE Shipping! At Amazon, you can score Disney Mickey Mouse Children Chair With Ottoman for just $47.99 down form $69.99 PLUS FREE shipping! Creating the ultimate lounge spot for your child takes two things: comfort and creativity! Start with this Upholstered Chair with Ottoman, because its plush seat and coordinating footrest makes all the difference. Made especially for kicking back, it’s the perfect spot to hang out—and it offers a burst of color and character to any space. Adorned with vibrant graphics of your kid’s favorite character, it turns reading, relaxing or watching a movie into an adventure.